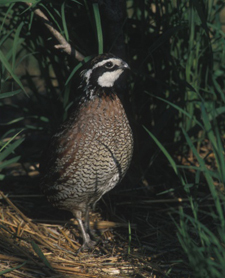 Quail Forever: "The Habitat Organization"
Since forming in 1982, Pheasants Forever, and its subsequent quail division, Quail Forever (formed in 2005) has created or enhanced wildlife habitat on more than 15.8 million acres across the United States and parts of Canada. Here’s how Quail Forever and Pheasants Forever accomplishes this work. With a network of more than 700 chapters and 149,000 members across the United States and Canada, Quail Forever and Pheasants Forever are able to accomplish thousands of wildlife habitat projects annually. Additionally, Quail Forever and Pheasants Forever participate in land acquisitions to permanently protect critical habitat for upland wildlife while simultaneously opening the areas to public recreation, including hunting. Completed in conjunction with local, state, and/or federal natural resource agencies, more than 187,000 acres are now protected and open to the public as a result of Quail Forever and Pheasants Forever’s participation. Why are chapters of Quail Forever and Pheasants Forever completing nearly 15,000 wildlife habitat projects annually? They have the funds to do so. Unique among national conservation organizations, Quail Forever and Pheasants Forever empower local chapters with the responsibility to determine how 100 percent of their locally-raised funds are spent. Chapter volunteers raise funds locally, spend funds locally, but remain vitally connected to a national organization to help impact conservation on a state and national level. Find a chapter. 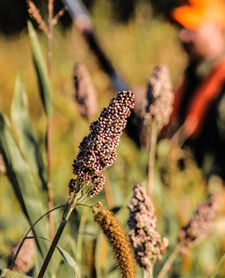 Quail Forever and Pheasants Forever’s mission is directly tied to a strong framework of federal conservation programs, including the Conservation Reserve Program (CRP). 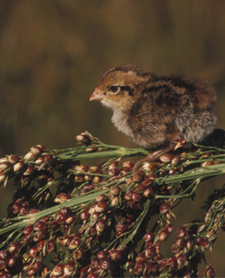 In addition to advocating for strong conservation policies in the Conservation Title of the Federal Farm Bill and at the state level, Quail Forever and Pheasants Forever employ more than 100 farm bill biologists across quail and pheasant country who work with landowners to implement these conservation programs. Find a Biologist. Who will carry the conservation torch in years to come? Quail Forever and Pheasants Forever are dedicated to passing on a land ethic and our outdoor heritage to the next generation. Youth interest in hunting and shooting sports can lead to a lifetime of outdoor appreciation and conservation support. Get youth involved.